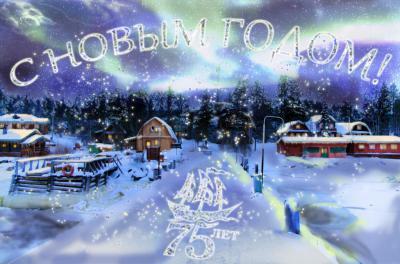 It brings us to interesting times as MSU White Sea Biological station will celebrate its 75th anniversary in 2013. On January 14, 2013 we will held a WSBS New Year Party in the Rotunda of the MSU Museum of Earth Sciences (http://wsbs-msu.ru/news/view.php?ID=412) ; February 27 - March 1, 2013 we will held the anniversary scientific conference in MSU (http://en.wsbs-msu.ru/doc/index.php?ID=133); the year 2013 will see a special issue of the "Priroda" journal dedicated entirely to WSBS MSU; in September 2013 WSBS will have "an open door month" for the volonteers who helped the Biological station to achieve its current heyday. We wish all of you a lot of new scientific breakthroughs, efficient and fruitful research and invite you to join our celebrations!